A trust is a legal and financial structure that holds assets, and pays beneficiaries, according to the instructions of a grantor. The grantor appoints a trustee to manage the trust. By the terms of a will, a trustee may be responsible for paying the grantor's heirs out of trust assets. A trust may also benefit a group, business or charity. State laws and guidelines determine how a trustee or grantor notifies the beneficiaries. If you believe you may be the beneficiary of a trust but have not received notice required by law, your best course may be to seek professional legal advice. Trusts come in two basic types: revocable and irrevocable. 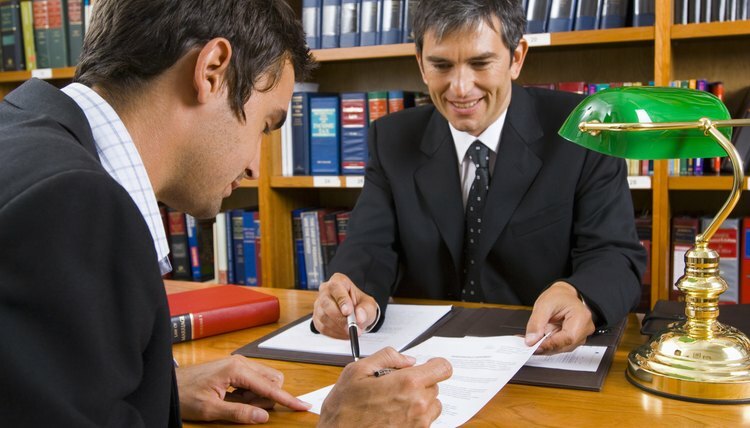 The grantor of a revocable trust may change the trust terms or cancel the trust at any time. It is possible for a revocable trust grantor to also act as trustee, and the law also allows a revocable trust to become irrevocable on the death of the grantor. With an irrevocable trust, however, there are very limited options for changing the trust. The trust document sets out how the assets are to be managed, how investments should be handled, and under what conditions beneficiaries must be paid out of trust assets. State laws govern how grantors may set up trusts and how trustees may manage them. Several states require a trustee to notify beneficiaries when the trust is created. Arizona, for example, requires notification of beneficiaries within 60 days after the trust is established, unless the trust sets different terms. A trustee must also provide a beneficiary a copy of any provisions in the trust relevant to that beneficiary, and an annual financial report if the trust is irrevocable. California and other states also require the trustee to provide a complete copy of the trust document to any beneficiary who requests it. State law may also require continuing notifications and reports to beneficiaries while the trust is in existence. By Ohio law, a trustee must provide a report at least once a year of all property, debts, payments and receipts of the trust, as well as a report of all compensation the trust pays to the trustee. If the trustee dies or becomes incapacitated, a guardian, representative or successor trustee must provide the reports. Successor trustees are held to the same notification requirements as original trustees. If a trustee is required to provide notice to beneficiaries, he must use due diligence to confirm the beneficiaries' addresses and provide the notice in writing. Some state laws dictate how a trustee notifies a beneficiary, while others do not. Generally, a trustee will send legally required notifications by certified mail, "return receipt requested." This provides proof that a mailed item was delivered to a specific address, and signed for by the recipient. LAWriter: Ohio Laws and Rules: 5808.13 Keeping Beneficiaries Informed - Requests - Required Reports. A trust involves the holding of property for the benefit of another. The relationship is legal in nature; the person appointed to oversee the trust, known as the trustee, has certain responsibilities to the beneficiaries, or those entitled to receive under the terms of the trust. Part of this duty is to provide regular accounting and keep the beneficiaries reasonably informed.